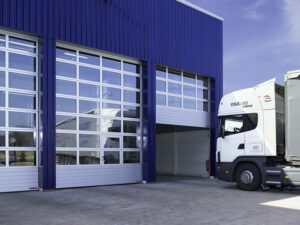 A&A supply and install industrial sectional overhead doors in Torquay and throughout Devon. Call 01626 259425 now. Industrial and commercial sectional overhead doors provide an effective environmental barrier helping to reduce energy loss whilst providing excellent traffic throughput and access.